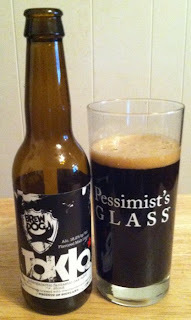 Brew Dog's Tokio is identified on the label as both a malt liquor and a stout, and with an ABV north of 18%, the word liquor seems appropriate. Either way, it's brewed with cranberries and jasmine and aged in oak barrels, and it's different. 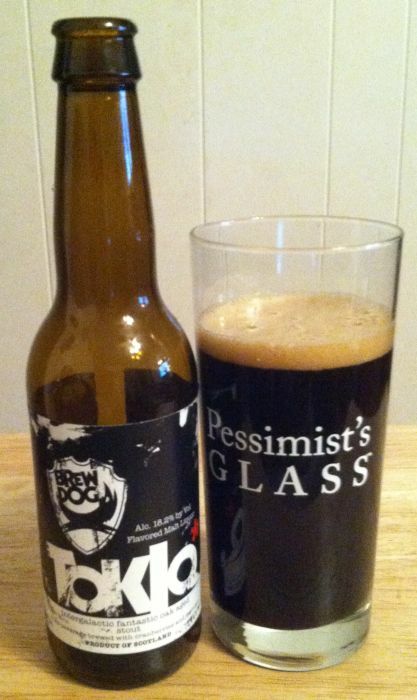 It pours nearly opaque with a head that leaves sheets of foam inside the glass as you drink it. The aroma is strong and strange, and it took me a little bit to decide if I liked the smell or not. It’s sweet, boozy, malty and tangy all at once. The flavor is strong and sweet, too. There’s more of a blackberry brandy quality than the cranberries promised on the label, and it’s as rich and boozy as it smells. By half way through the glass I was enjoying it, but I wouldn't say I loved it.